At the recent 2019 Cattle Industry Convention in New Orleans, Executive Director of Governmental Affairs for the National Cattlemen’s Beef Association Allison Rivera talked with Radio Oklahoma Ag Network Farm Director Ron Hays about several issues the industry is tackling right now, including the US Department of Transportation’s ELD Mandate and Hours of Service Rule. Together, these regulations require commercial freight truckers to install onboard electronic logging devices (ELDs) to digitally record their active drive times, and limits the amount of time a driver can spend on the road. Rivera says that with the turmoil in Washington, DC currently, the waters on this rule have been a little murky as NCBA continues to work with the DOT to delay and exempt livestock haulers from the rule. Currently, drivers have 11 hours of maximum drive time after 10 consecutive hours off duty. 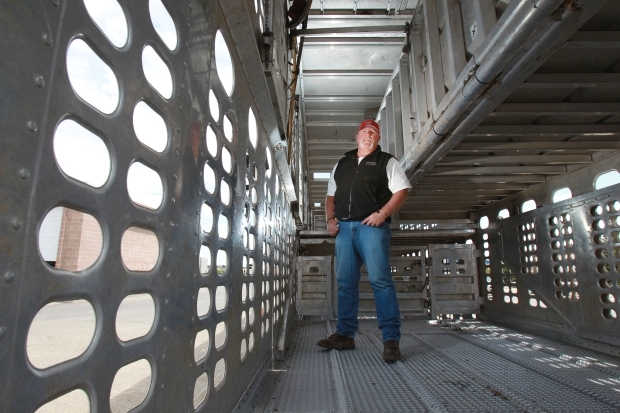 For livestock haulers, this is more often than not an inadequate amount of time to safely and humanely transport livestock from one location to their final destination. While exemption from this rule would be ideal, it is not likely the DOT will consent to that. Alternatively, Rivera says the NCBA is working instead to at least extend the Hours of Service rule for livestock haulers. During the Convention, Rivera says NCBA formally submitted a petition demanding livestock haulers be granted 16 hours of on-duty time with 15 hours of drive time after 10 hours of off-duty time. This schedule, she says is based off the Australian model which has had a long record of success. Listen to Rivera address the confusion surrounding the ELD mandate and Hours of Service rule with Hays, on today’s Beef Buzz - brought to you by the American Angus Association. America’s breed. Hear Rivera address the confusion surrounding the ELD mandate and Hours of Service rule, below.